There are certain foods that should ALWAYS be bought organic. And if you can’t buy these foods organic, then you shouldn’t get them at all. 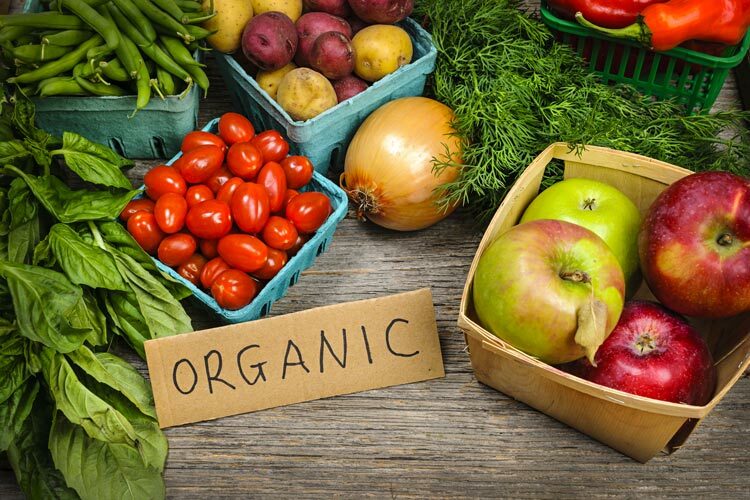 Non-organic foods are often contaminated with nasty pesticides such as glyphosate and bifenthrin. And when it comes to pesticide contamination, certain foods are much worse than others. When testing for contaminants, it was found that 98% of strawberries were contaminated with chemical pesticides. And we’re not talking about 3-4 different pesticides. Approximately 40% of strawberries were found to have more than 10 different pesticide residues. One sample even was found to have a whopping 17 different pesticides! The problem is when our body is exposed to pesticides, it can cause some nasty side effects. Pesticides can also destroy your gut bacteria which can lead to auto immune disease, leaky gut syndrome, and other diseases. Pesticides are nasty chemicals to say the least and therefore should be avoided at all costs. So if you care about your health, you should pay attention to which foods are the most contaminated. 100% Privacy. Your email is safe with us. No spam ever. According to the (EWG), there are 12 foods you always should buy organic or avoid altogether because they are riddled with toxic pesticides. EWG based their list off of more than 7000 tests conducted in 2014 by the U.S Department of Agriculture. While most non-organic produce was found to be contaminated, EWG crunched the numbers to determine the 12 most chemically contaminated produce items on the market. The EWG also noted most leafy greens (such as kale or collard greens) and hot peppers were “dishonorable” mentions because they also contain high levels of pesticides. The point of this information is not to scare you. It’s to help you make educated food purchasing decisions to protect your health. That way, if you don’t have the money to buy all organic, you can steer towards the Clean Fifteen and away from the Dirty Dozen. Unfortunately, we don’t live in a world where we can trust what we eat. Remember how the EWG noted studies that revealed pesticides can cause cancer, hormone disruption, and neurological problems? Yeah well as disturbing as these studies are, they still don’t violate the weak U.S laws and regulations on pesticides on food. So it’s ultimately up to us to take charge of our own health and be an informed consumer. Remember that every time you buy organic, you’re voting for healthier foods by supporting organic farmers and boycotting farmers who use harmful chemicals. Enter your email below to get our latest content, exclusive deals, and natural health tips delivered right to your inbox. No spam ever, I promise! By entering your email, you consent to add your email to the Naturalife mailing list. From natural remedies to clean eating, I'm sharing everything on my journey to natural wellness.